NAMM is definitely a whirlwind of a weekend, for us there isn't a whole lot of time to really dig into new stuff. We caught buzz of a few guys walking around the convention center in beekeeper outfits and were told by multiple people to check out their stuff. On the last day of NAMM 2017, we found out that these guys fresh from Brazil ran an effects pedal company called Beetronics. Beetronics are huge with detail! These pedals are incredibly unique. From the finish down to the enclosure using unique hardware, bee and honeycomb shaped circuit boards, these guys are successfully carving their own unique spot in the pedal world! Coincidentally enough, one of the guys from Beetronics went to school with Nick! A whole serendipitous series of events occurred that NAMM weekend, but we came away with their Octahive and Whoctahell fuzz pedals. 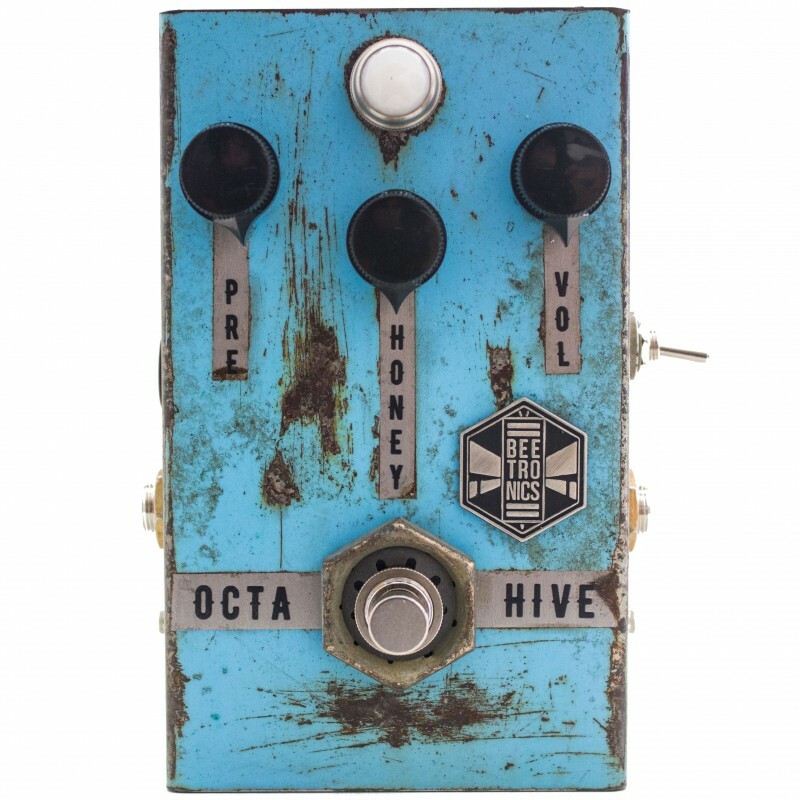 The Octahive is a high gain fuzz with an octave up, not quite an octavia but with it's own distinct sounds. Dialed back it definitely adds some interesting color to your tone, but when dimed it totally sounds like a swarm of crazy bees! Work the volume knob on your instrument! These guys are super sensitive to dynamics. The Whoctahell is a low octave fuzz, with not one, but two low octave options. Nick loves how this pedal can glitch out, it has a "bit commander" quality. You can have the fuzz by itself, or with the crazy low octaves too. We love seeing new up and comers changing the game. They definitely caught our attention with their aesthetic and in a place like NAMM you got to stand out, but more importantly you got to have the product to back it up!